What is Xium Raspberry Ketones? 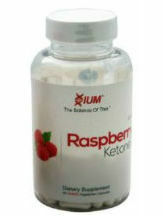 My review today is of the Raspberry Ketones product produced by Xium. This dietary supplement is advertised as being the number one product of its kind. It is supposed to help customers to effectively lose weight. Moreover, this 100% natural remedy also promises to burn fat gained as a result of inappropriate diets, high in calories. Each capsule of Xium Raspberry Ketones contains 250 mg of Raspberry Ketones. This ingredient is well known for its ability to stimulate the production of fat burning hormones. It is also responsible for lowering the appetite and for helping customers maintain a slim figure. The capsule is made out of 100% vegetarian cellulose. However, the label warns customers that the capsules may also contain milk, soy, wheat, eggs or peanuts. The best results have been recorded with customers who have followed the recommended dosage instructions of two capsules twice a day. The capsules should be taken with water, but the label does not mention when it would be most appropriate to take them or it would be suitable to take them during meals or not. This dietary supplement can be bought for the price of $9.32 per bottle (each bottle contains 90 capsules). There are no other discounts or available subscriptions for this supplement. Despite this fact, the $9.32 price is still one of the most competitive on the market at the moment. The producers clearly state that this product is not intended for children under the age of 18, persons who have a medical condition (or are taking other medications) and for pregnant or nursing women. Of course, the producers also advise against exceeding the recommended dosage. Although the product’s official website has an impressive “100% satisfaction guaranteed” banner, there actually is no mention of any kind of guarantee offered by the manufacturer. There are no details that might help future unsatisfied customers in their endeavor to return the products. This raises some serious questions regarding the quality of the ingredients and the overall effectiveness of the product. Another concerning fact is the complete lack of customer reviews. The site does not even have a section dedicated to customers who wish to voice their complaints/opinions. Taking into account the purity of the ingredients and the low price, we might be inclined to say that Xium Raspberry Ketones has the potential of being a superior product. But when we take into account the ambiguous instructions and lack of guarantee (including the lack of customer reviews), we see ourselves compelled to think otherwise.